When Brad got to work on Monday there was the normal pile of phone messages on his desk which Paula had gleaned from the weekend's voicemail. On top was the usual message from Marty Elkins. Norton High School's football team came to town last Friday and destroyed the Bartlette Unified Tritons. Marty would have complaints about the refs and be absolutely certain they were on the take. He had been the first quarterback at Bartlette Unified when the county's three high schools were merged into one and ten years later he stilled lived or died each week in accord with the Triton's latest game. For himself, Brad doubted the thirty-five to thirteen loss had much to do with anything other than the fact that eleven starters graduated last year and a third of this year's starters were sophomores. He smiled. Paula purposefully put that one on top so his day would start with a bit of humor. She knew the problems he was having at home and was trying to help in what little ways she could. Of course, after that first message, there were about twenty others which were not so much fun. Most of them were about the judges throwing every single case that came before them out of court. Each of the three judges decided that since the original paperwork was destroyed in the fire that the cases based upon that paperwork had to be dismissed. All Brad and Yusif could do was weather that storm and indict anyone with a serious charge. The next grand jury was scheduled for a week from Thursday and he had already told Judge Isom and the clerk of court that it would take at least two days because they had to re-indict everyone whose original indictment was destroyed in the fire and all the serious cases which had been dumped by the judges in the lower courts. In a normal month they indicted somewhere around thirty-five people. This month they would be indicting at least four hundred. Poor Paula would go nuts this week trying to get everything set up. There were two messages from law enforcement officers. The first, received Saturday, was from Special Agent Mazzota of the FBI. Mazzota was the lead FBI agent for the federal team that showed up after the explosion. He had not been especially cooperative with the Sheriff's Department or even Brad's office and in the call at three in the afternoon on Saturday his message only stated that he wanted to speak to "the head prosecutor." Apparently, it was too much trouble to remember Brad's name or even look it up on the internet. The second message was from a Detective Barry Shifflet, a Roanoke officer. It was from earlier this morning and said it concerned an abduction. In a fit of pique, Brad decided to call the detective in Roanoke first. If the FBI agent could not be bothered to remember Brad's name then Brad would not bother to give him top priority. 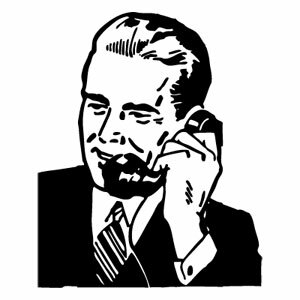 However, Brad's pettiness was stymied when the number rang through to voice mail. He dutifully left his contact information and then hung up so that he could call Special Agent Mazzota. Mazzota had left a cell number and it got answered before the second ring. "Mazzota here." "Hi. This is Brad Dollerby, the Bartlette Commonwealth Attorney. You called my office over the weekend. I'm returning your call." "Thank you for calling back, Mr. Dollerby. I was just trying to confirm the identity of a Father Jerome Tolton. He gave your name as someone who could verify his identity." The voice was coolly professional. "Um, sure. Black guy. Skinny. Maybe mid-thirties. Priest. Presided over my wedding and he's some sort of trouble shooter for his Church. Also claims to be a lawyer, although I can't confirm that." Brad tried to match Mazzota's professional tone, but surprise, curiosity, and some anger tinged his words. "What has the Father gotten into now?" "Thank you. We called Bishop Mannion after we could not contact you and he confirmed the identity of Father Tolton." The FBI agent pointedly did not answer the question. "I'll be sure to advise you if anything comes up involving your office. Thank you for your assistance." With that, the line went dead. Brad had dealt with federal agents before and you just had to accept a certain degree of sanctimony and self righteousness from them, but this jerk was just plain rude. More troubling was the refusal to tell him what Father Tolton had meddled in now. He also found himself mulling over the "advise you if anything comes up involving your office" line. There were all sorts of implications which could be read into that statement. Well, there was only one way to find out. He pulled up a search engine on his computer and looked up Saint Berlinda's phone number. He called and the phone rang seven times before a man picked up. It was Lyle. Lyle was a retiree who volunteered at the church. Brad was uncertain what he did exactly, but he was always at Saint Berlinda. "Hey, Lyle, it's Brad Dollerby. I'm looking for Father Tolton." "Oh, he's on his way Mr. Dollerby. The troopers picked him up about thirty minutes back. They must have stopped for breakfast - otherwise they'd be at your office already." Brad rolled with what felt like a body blow and kept his voice light. "Yeah, they must have. Do you know which troopers picked him up? I think maybe I ought to give them a call and hurry 'em up a little. You know how people can sit around at the Hardees all morning." Lyle chuckled. He was one of the old men who sat around every morning at the Hardees talking politics and remembering how great things used to be. "Nope. Both of them were in suits and one didn't even come into the church. They weren't even in a gray car; it was just a white SUV. Only reason I know who they were is that I heard Father Jerome tell Father Gabe that he was 'leaving with the troopers.'" "Okay. Well, I better get off the phone. I need to clean my office up a little bit before Father Jerome gets here." After a couple more words of goodbye Brad hung up the phone. What was the priest doing now? It had to have something to do with the ambush and the FBI and state police were involved. He was not. He wondered if the Sheriff was cut out too. He called over to the Sheriff's Department, but the Sheriff was off at a prayer breakfast. So, he asked to speak to Jeff Sanger. The chief of investigations picked up on the second ring. They exchanged quick greetings and Jeff beat Brad to the punch. "So, I guess you're either calling about Squire dying or Dave getting arrested." Brad was startled by Jeff's abruptness and the unexpected topics stupefied him for several beats. Then it all came pouring out at once. "Wait, I thought Tolliver was supposed to be okay. What happened? And what do you mean Dave got arrested? Dave who? You arrested someone on this?" "Something went wrong with Squire's surgery. He died this morning from complications - about six. And, no, we haven't arrested anybody on this yet. Dave Jordan got himself arrested yesterday in Roanoke." "Dave Jordan? You mean your Dave Jordan?" The only Dave Jordan that Brad knew was Sergeant Dave Jordan, one of the investigators directly under Jeff's supervision. "Yeah. Apparently, Dave found out who that guy was who spoke to Yusif last week - the one who wouldn't tell Yusif who he was. It was some lawyer out of Roanoke. Anyway, Dave drove to Roanoke yesterday without telling anyone here or contacting anyone there and found the guy. He arrested this lawyer, cuffed him, and started questioning him. Seems he got pretty rough and when local PD arrived on the scene they arrested him and charged Dave with abduction, malicious wounding, and two charges of using a firearm in a felony. I spoke to the detective assigned to the case and they are pissed. I don't know if the Sheriff and ya'll are going to be able to help him this time." Brad was not particularly disposed to help Dave Jordan. The guy was a jerk and not quite half as clever as he thought he was. In an equitable world Jordan would have never risen above street patrol and probably not lasted too long as a deputy. In the real world, he was the Sheriff's step son and he had been promoted to someplace where no one thought he would do any harm. Brad knew that Jeff only gave Jordan the most basic assignments and even then kept a fairly close eye on his work. Even so, at its peak Jordan's work only occaisionally rose to the level of adequate. Brad would not be bothered a bit if Jordan was no longer working for the Sheriff's Department. Unfortunately, the Sheriff would not see it that way; he would want some help. "Jeff, is the Roanoke detective a guy named Shifflet? I got a call from somebody by that name before I got to the office today." "Yeah, that's him." Jeff paused for a moment. "I've got his info here . . . Lieutenant Barry Shifflet, Roanoke Police Department. You want his phone number?" "No, I've already go that. I left him a voicemail a couple minutes ago. Is there any other news about the case? You heard anything from Father Tolton?" "The priest? I got an email about him. Let me check." After about ten seconds Jeff continued. "Here it is. Apparently, last Thursday Father Tolton tried to talk to Bo about the incident, but Bo wouldn't talk about it without the Sheriff's permission. Bo sent an email to the Sheriff about it, who forwarded it to me and I sent an email back to the Sheriff saying I don't want information about the case being handed out to anyone while we're investigating. Heck, Brad, I know y'all are close to this priest, but we can't let somebody come in and mess around in this when we haven't even figured out who did it yet." Brad knew he had to immediately squash that notion. "I don't want you to do anything for this man that you would not do for anybody else. My wife's the Catholic. I'm still a member of United Methodist here in Mount View. If he starts throwing my name around trying to get things, you let me know. The only reason I asked about Tolton was that the FBI called and asked about him. I thought maybe he'd gotten into something." "The FBI hasn't said anything to me about him, but then the FBI pretty much hasn't said 'boo' to me since all this started. They don't seem to have any real interest in cooperating. And, I wouldn't worry about Tolton using your name to open doors. Best I can tell, he didn't try that and we all know that Bo wouldn't help someone who dropped your name anyway." It was an ongoing joke. Bo "blamed" Brad for his marriage. After Bo waded into the Mahans at Brad and Maggie's wedding reception the Mahan women had targeted him. Brad was not sure why exactly; all he knew was that every time he brought the subject up with Maggie or Abby they chortled or grinned like cats that had eaten several canaries. After the reception and before they left town two women from Boston actually tracked Bo down and got him to exchange email addresses with them. Two others found him online within a week and Bo had a lively exchange with three women from Boston and one from New York over the next several months. Obviously, he thought nothing would come of it. After all, these were big city women who could not possibly want to live in the mountains of Virginia and they were hundreds of miles away. He was just having fun flirting with them. Then, Mary Elizabeth Mahan left Boston, moved to Bartlette, and put an end to all of that. Within four months Mary had shouldered aside both her local and internet competition and had a thoroughly bewildered Bo Ross in front of a priest saying wedding vows. However, this time the wedding and reception were in the next county over because Norton had both a larger Catholic church so that everyone could get in this time and a bigger hotel where the Mahans could have their monster reception in peace and not get Bo in trouble with his Sheriff. From that day on, Bo would gripe whenever he saw Brad that his carefree bachelor days ended because Brad brought Mahans to Bartlette County. Brad gave the obligatory chuckle. "Watch yourself, Jeff. Today's not the day to get on my bad side. The Tritons lost on Friday so I've gotten a call from your favorite person, Mister Marty Elkins, with the usual complaints. I could decide that my office isn't equipped to investigate such an important allegation and refer him over to you. Maybe I'll be extra helpful and give him your direct number." "Ug! I take it all back!" Both men chuckled this time. Marty's phone messages to the Sheriff's Department about the corruption in high school football tended to get lost somewhere between the receptionist's desk and Jeff's office. In fact, the non-responsiveness of the Sheriff's Department was the reason that Marty now called the Commonwealth Attorney instead. With that, the conversation wound down. After hanging up the phone, Brad spent a couple seconds thinking how good it was that people were getting back to the point they could kid around again. Then he found his thoughts turning sour as he mulled over any possible meaning or connections between all the things going on. He still did not know what Tolton was up to, but the situation with Dave Jordan was even more troubling. Jordan was just dumb enough that it was believable that he would go cowboy and try a stupid stunt like going to Roanoke to make an illegal arrest. Yet, somehow it did not feel right. Things were going on that Brad did not have enough information to understand and he did not like that at all.